Who knew the very same place where your Aunt Beth posts pictures of her crafts and your high school friends get into heated political debates while simultaneously dropping snaps of their engagement rings would be a thriving beauty marketplace, too? It’s on Facebook that you probably discovered Lipsense and Rodan + Fields Lash Boost Serum. And the latest thing popping into our feeds? It goes by the name of Arbonne. The beauty brand, like your age-old Avon and Rodan + Fields offers direct sales careers, which is why you’ve probably seen it promoted time and time again. With over 300,000 “likes”on Facebook though, its range is impressively large, covering not only skincare, but makeup, bath and body, tools, and even nutrition products. Does the #30DaystoHealthyLiving ring a bell? What makes it different than any other brand you can pick up at Sephora, or really so appealing to the Internet? Health and eco-conscious, the brand formulates its vegan and cruelty-free products with a natural focus, leaving out harsh and potentially toxic ingredients. Arbonne also works to offset its carbon emissions that are created in the production of products, which are all packaged in recyclable containers. So while not 100 percent natural or organic, the green stamp of approval is there. Like we mentioned above, the range is substantial. In makeup, you can find anything from a lengthening mascara to mineral powder foundation to pigmented lip gloss. In skincare, the brand has formulated an anti-aging collection, and anti-aging collection for men, an anti-acne range, a line specifically made for sensitive skin, and more. Pricing wise, it’s definitely more expensive than what you’d find by yourself at the drugstore, starting at $19 to even $88 per product. The bath and body line includes soaps and moisturizers and essential oils to diffuse. The nutrition line and Arbonne’s tool, the Genius Ultra, is what truly sets the brand apart from others. Arbonne manufactures protein shakes, protein powders, boosters, supplements, snack bars, chews, detox tea, more. The Genius Ultra is a tool that will set you back an upwards of $200 and helps your skincare penetrate deeper and more effectively into your skin using ultrasound waves. So what’s really worth purchasing from your Facebook friends, or um, acquaintances? The Glossed Over Lip Gloss ($25 each; arbonne.com) is a handbag mainstay, while the RE9 Advanced Intense Renewal Serum ($65; arbonne.com) is a FB hit and uses a blend of ingredients like vitamin C, brown algae extract, AHAs, niacinamide, and other peptides to enhance and improve radiance, firmness, texture, and moisture levels. It can also be used with the Genius Ultra, which is worth looking into if you dig techy skincare tools. 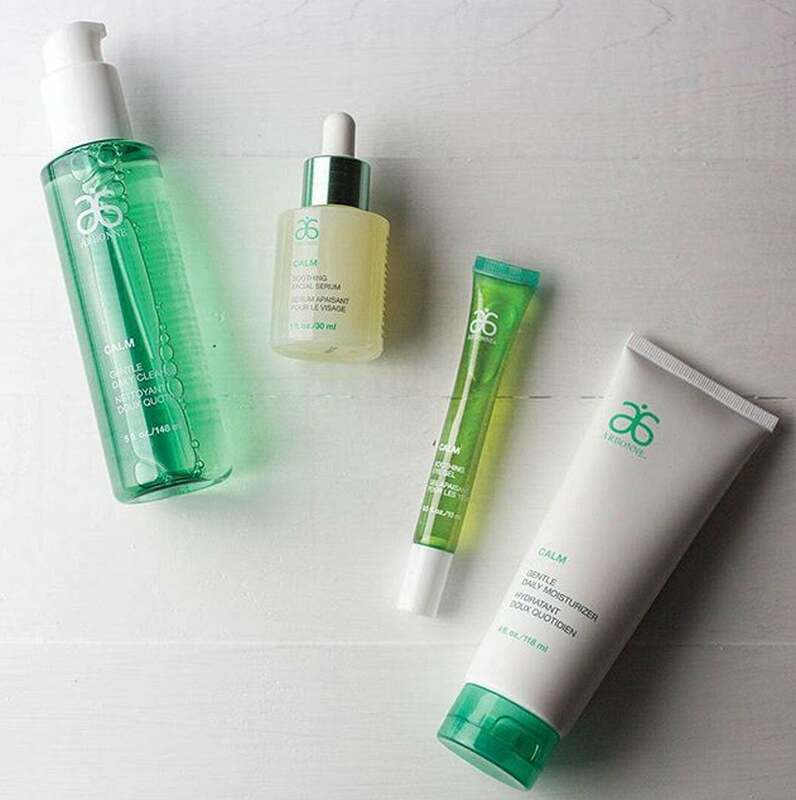 We’re also drawn to the Calm Gentle Daily Cleanser ($29; arbonne.com), a sulfate-free, aloe-, green tea-, and cucumber-infused soothing face wash that is fragrance free and has been reportedly tested by dermatologists.